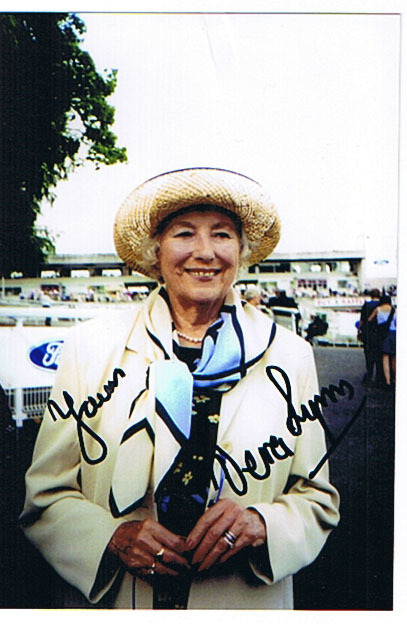 We were extremely happy to receive our autographs from Dame Vera Lynn herself. The famous singer from 1930s and 40s sent us some lovely hand-signed cards at the grand old age of 93! As she is now very old, Vera has a personal agent who comes to her home and the address we used was: Vera Lynn c/o Hampers Croft, Common Lane, Ditchling, East Sussex, BN6 8TJ. We are always so happy to receive autographs from such famous people!